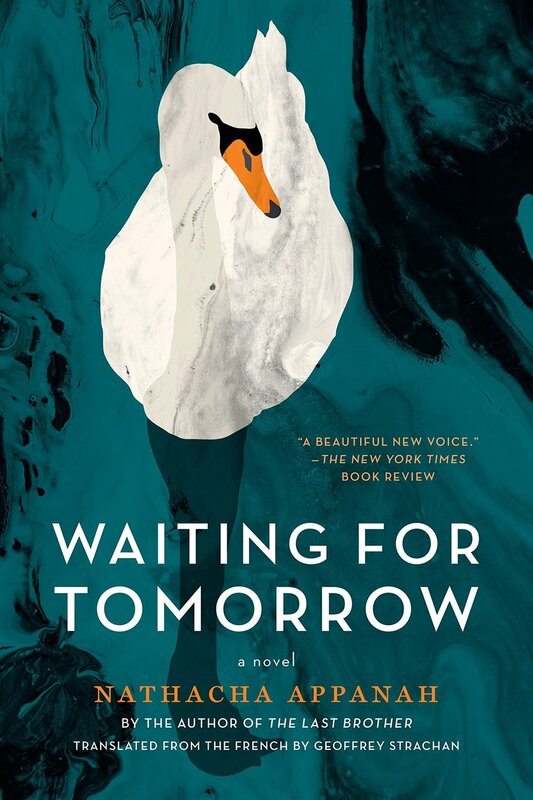 Nathacha Appanah's elegant and quietly memorable 2015 novella En attendant demain now receives an English-language translation as Waiting for Tomorrow by Geoffrey Strachan for Graywolf Press, and Strachan's very much to be commended for the job he does capturing the near-uncapturable fluidity of Appanah's prose line, the way the colors of this author's imagery are constantly shifting like sunlight on water. Monsieur Voubert, my friends, tells us to eat pork for breakfast and drink wine in the morning. Adam had laughed until the tears came to his eyes. She does not remember faces but she recognizes the look of things, habits, sounds, smells, gestures: the blue smoke from a cigarette being shared by the young people gathered at the back of the bush shelter, the sound of tapping on a packet of Tic Tac mints held in the palm (a rhythm of maracas), a ring finger applying balm to the lips, the cotton print skirts of women from Senegal, the brand names plastered across T-shirts, the white tracksuits, the black pants made shiny by frequent ironing, the Nigerian women's brightly colored scarves, the Jamaican caps, the electric-blue mascara, the eyeliner in the style of the singer, Barara, the sandalwood-based beauty masks of the women from the Comoro Islands, the tsiit, tsiit, tsiit of the personal stereos, the slim-line dance shoes, the cork platform shoes, the sneakers with huge tongues. This being a novel, of course Adèle has mysteries of her own, and in short order her interactions with Adam and Anita and especially their daughter are threatening to tear apart all the settled mundanities our two main characters had previously never thought to cherish. The reader's patience for this variation on The-Nanny-As-Catalyst will vary depending on how badly they've seen it abused, but Appanah uses it in these pages about as adroitly as quasi-realistic fiction allows, and the book's second act complications produce a genuine page-turning tension that almost feels out of place in a book filled with such lovely language and down-to-earth realities. Waiting for Tomorrow is even smarter and surer than Appanah's earlier novel The Last Brother – a standout in the lists of English-translated literary fiction.